With extremely heavy duty construction, this IPF Spec Olympic Bench Press is designed to meet the requirements for high volume usage in bodybuilding and fitness gyms, high performance training centres and athletic clubs. A leader in its field. 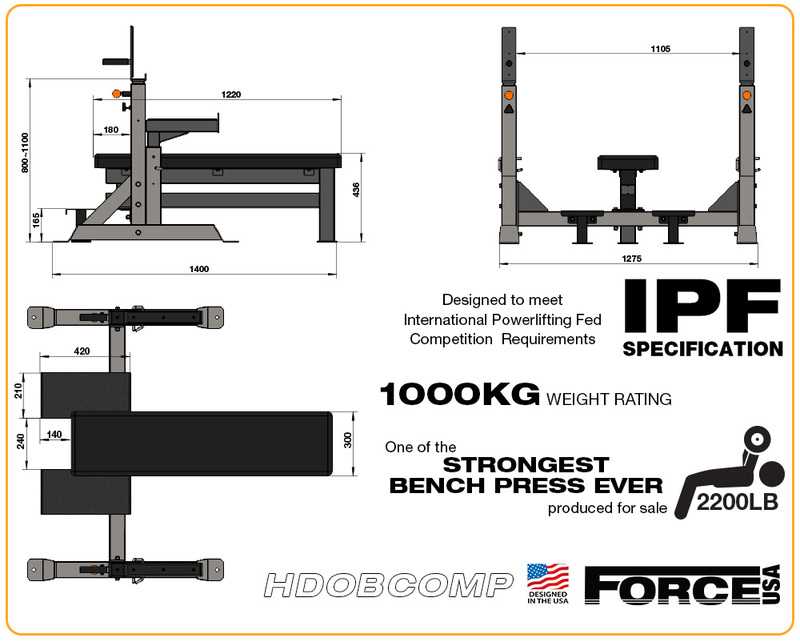 The Force USA Commercial Heavy Duty IPF Spec Olympic Bench Press has the ultimate in SteelForce framing providing an incredible 1000kg Weight Rating! One of the strongest production Olympic Bench Press available. Only ForceUSA has SteelForce commercial grade, heavy gauge rolled steel tubing. 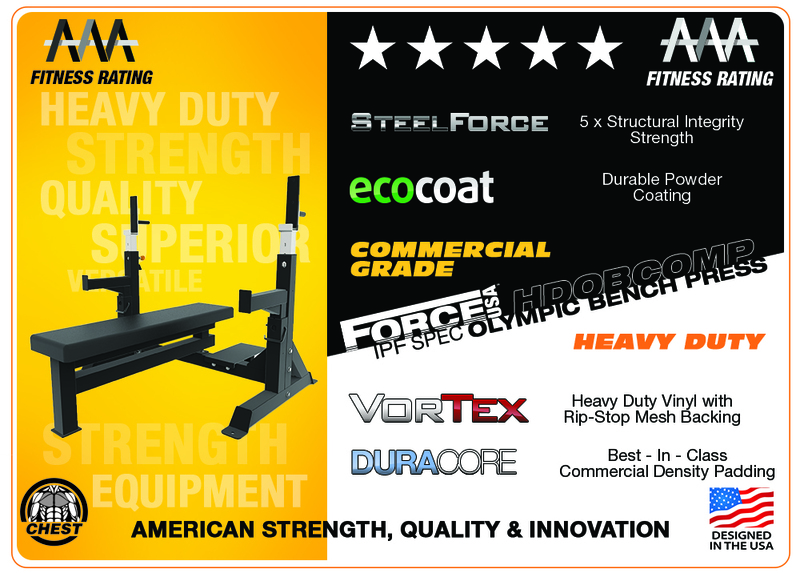 This commercial grade Olympic Bench Press has EcoCoat, durable powder coat followed by additional clear coating for long lasting protection. 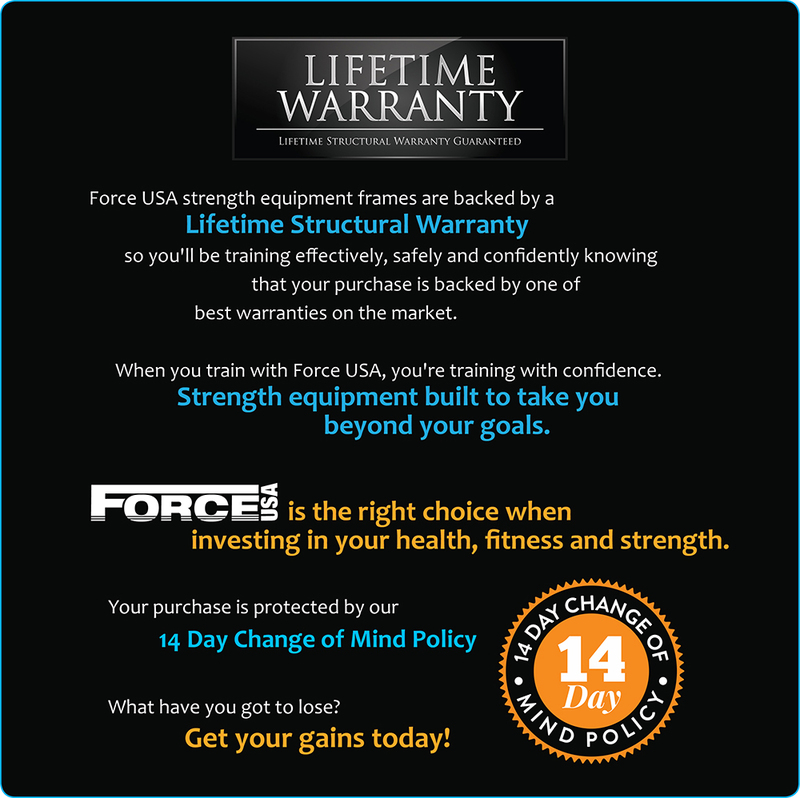 Perform the heaviest bench presses with comfort and confidence. DuraCore high density commercial grade foam padding with ultra thick laminated wood base.